Posted on 22/04/2013 by Jayson	in Counters Talks and tagged capitaland, CDL, Kepland. 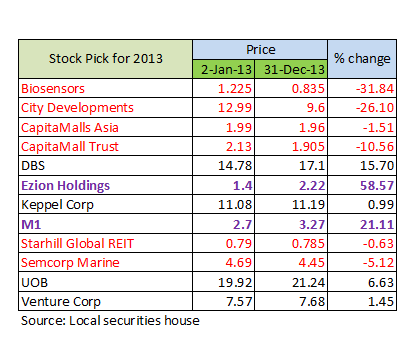 After the cooling measures announced in mid January this year, our local property stocks have been in the doldrums. Lately, they seems to make a come back. 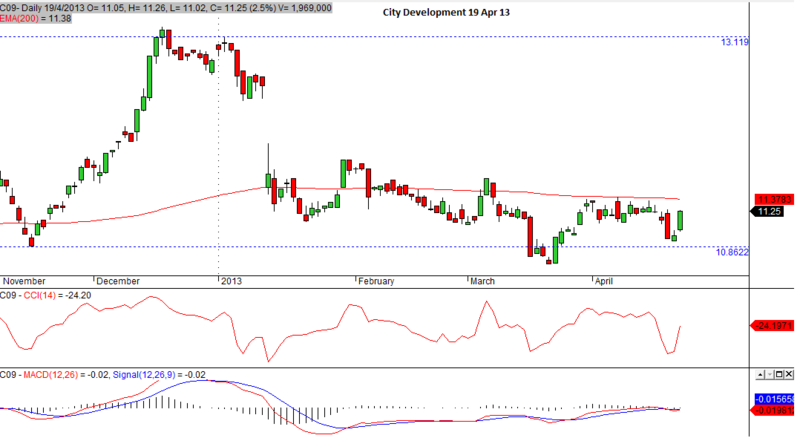 The above chats of CDL, Capital Land and Kepland seems to tell us that the counters have reached their supports and is ready to bounced back. 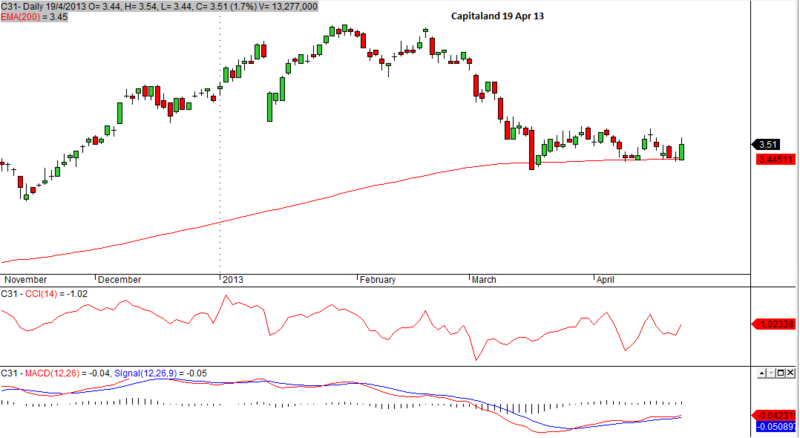 CDL and Capitaland have yet reverse. However, I can see that Kepland is making its way up. 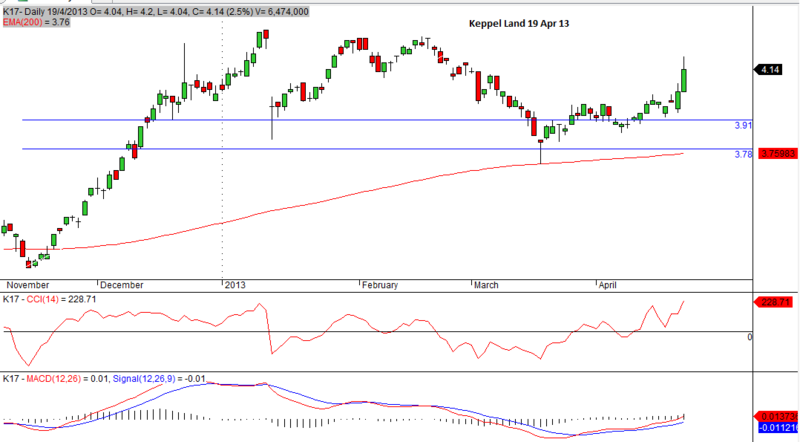 Usually for property stocks, they will follow each others. If there is no major incident occurring that will adversely affect the markets, I would foresee that CDL and Capitaland will follow suits and climb like Kepland. Posted on 23/03/2013 by Jayson	in Uncategorized and tagged CDL. If you take a look at CDL, you will know that it is of utmost importance as a trader / investor to lock in profit at the correct timing. This applies to traders of all time frames and even for long term investors. 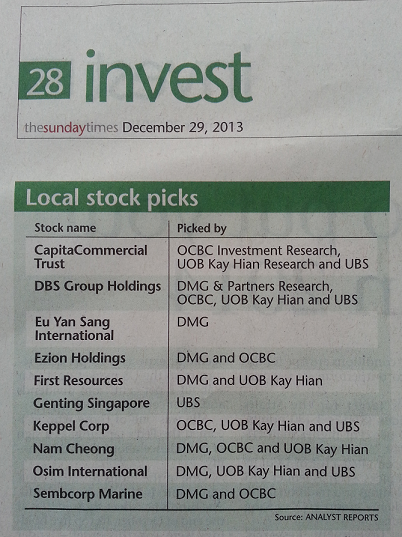 Those people who had bought into CDL in Nov 12 will have very good returns by end Dec 12. 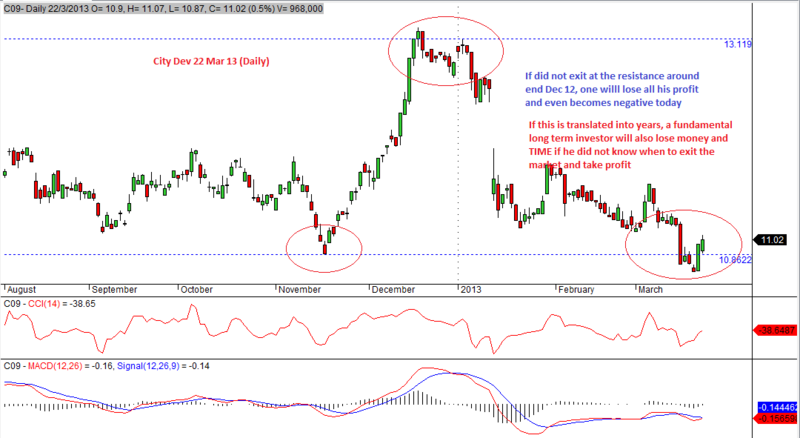 If they did not exit by the first week of Jan 13 and is still holding till now, then they are definately making a paperloss. This will further affect their trading psychology and if the counter continue to drop, say a few dollars, the persons holding the shares will sell it off in panic to confirm the loss. This kind of win-did not exit-lose then exit cycles happen everyday in the markets. Sad but true, we need these people to provide for liquidity and of course, provide profit for those 10% of the traders out there.